Fred Wallace, DDS has maintained his dental practice in Solana Beach since 1987. For over thirty years, patients from Rancho Santa Fe, Del Mar, Encinitas, Carmel Valley and Solana Beach have entrusted their dental health to Dr. Wallace and his staff. 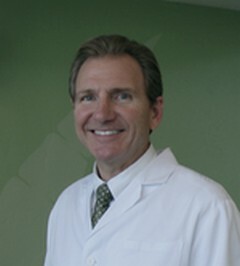 Dr. Wallace is a 1981 graduate of the University of the Pacific School of Dentistry and holds a Bachelor of Science degree in Biological Sciences from the University of California, Irvine. Dr. Wallace believes in providing personalized care for each individual patient. The office prides itself in providing gentle dentistry, utilizing state of the art equipment and the latest proven techniques. Dr. Wallace has had numerous continuing education courses focused on smile design and cosmetic dentistry. He has studied extensively with the Seattle Institute for Advanced Dental Studies. Dr. Wallace has received several Top Dentist Awards, recognized by San Diego Magazine and Best General Dentist Award from Ranch and Coast Magazine.